LIONS TRUST OF BANGALORE CAPITOL is located in Bangalore Karnataka . LIONS TRUST OF BANGALORE CAPITOL is registered as a Trust at BANGALORE of state Karnataka with Ngo unique registration ID 'KA/2014/0083707' . 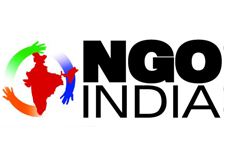 The NGO registration is done by Sub-Registrar with registration number DIT(E)BLR/12A/L-283/AAATL6367M on the date of 26-02-2008, Its parent ORganaisation is LIONS CLUBS INTERNATIONAL. The Chairman of LIONS TRUST OF BANGALORE CAPITOL is LION A KOSHALRAMA REDDY and Chief functionary officer is Lion A KOSHALRAMA REDDY. No.739,2nd Floor,5th Block, Rajajinagar,Bangalore 560010. Established Lions Dialysis Center with Six Dialysis Machines at Rangodore Memorial Hospital, Chamarajpet, Bangalore.